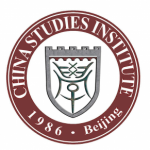 Established by American University in Washington, D.C., the China Studies Institute (CSI), formally known as the Beijing Institute of Asian Studies, offers a wide range of academic programs, internships and travel opportunities throughout China for university students interested in studying abroad in Beijing. Established by American University in Washington, D.C., the Beijing Program has been in China since 1985. While maintaining a strong institutional affiliation with AU, the program began to operate independently in 2004 by accepting students from other universities. Culturally and politically different from the US, China's ascendancy necessitates dialogue and understanding not just at the governmental level but also at the grassroots level. It is the mission of our program to promote such understanding. It is also in keeping with American University's efforts at globalization. The program offers a wide range of courses to suit the different needs of students. All courses, except the advanced Chinese classes, are taught in English. The program also offers a long established travel program and chances for internships, among other opportunities. For example, students are taken to nearby villages in order to study rural economy and peasant life. The immersion track is for students who want to devote themselves to Chinese language training fulltime, through 27 hours in class instruction per week and lots of time for homework and other activities. It is a perfect opportunity for those who want to challenge themselves and test the limits of their courage, endurance and excitement. This is designed for students who desire to learn Chinese part time while taking other area studies courses and internships. A minimum of 9 hours per week is required. The average class size is under 10. Except the absence of language pledge, the instructional methodologies and contents are the same as immersion Chinese. Internships have been an integral part of this study abroad program since 1998. By working with American expats and Chinese professionals alike, students gain valuable first hand experience about the Chinese economy and society.